Indie gaming has always been underrated for its importance within the gaming industry. Even though Will Wright has moved on to bigger, more [universal] projects, such as Spore, his roots will forever be grounded in the indie scene. Another indie developer has a bright future on his hands as well, and his name is Cliff Harris, from Positech Games. And what Sim City was to Mr. Wright, that’s what Kudos is to Mr. Harris. Positech’s brain-exercising social simulator, Kudos 2, is more than just an affordable casual game. The sequel to one of the most original, life-imitating social games is back on the scene with a better graphical interface, a few more options for the player’s avatar, and a new, awe-inspiring soundtrack. The main gameplay premise is rather simple, but it can become quickly complicated (and addicting) based on the player’s decisions. 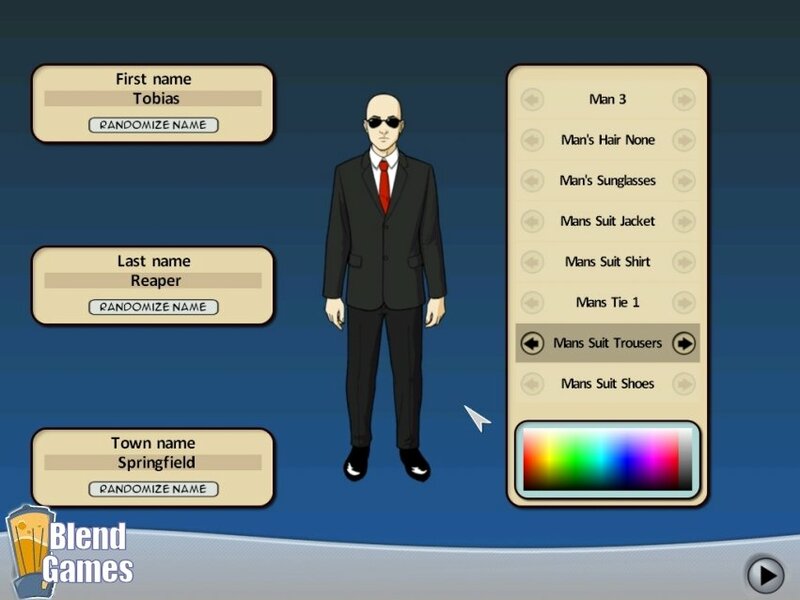 At the start of the game an avatar must be created (male or female) by selecting a face, some attire and a name. After that it’s on to living life or trying to do the best job of it. 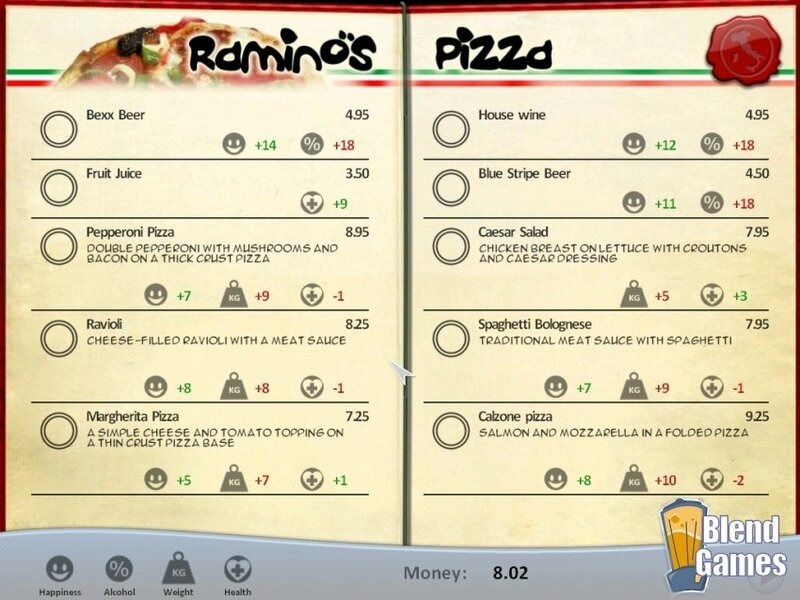 Players will start out as a lowly waiter at a restaurant, having to walk to work and juggle the oftentimes dichotomous nature between career success and having a fulfilling social life. I think this is where the game really shines, because despite the fact that there are numerous new options and activities presented to players trying to establish a social life, there’s also that urge to move up the ladder of success and acquire cable television, a new motorcycle, or spend time trying to advance in a new career path. I think the pacing and availability of activities keep Kudos 2 very fresh, despite its limited animations and its lack of constant visual stimulation. This is not to say that there are no animations or visual presentations within the game – as the city-scape, which is new to Kudos 2, often reflects the nature of the character’s status. When drinking or intoxicated the city blurs and fades with wobbled intentions, and when its sunny out while walking to work the avatar is more likely to be in a good mood, as opposed to when its raining or snowing. 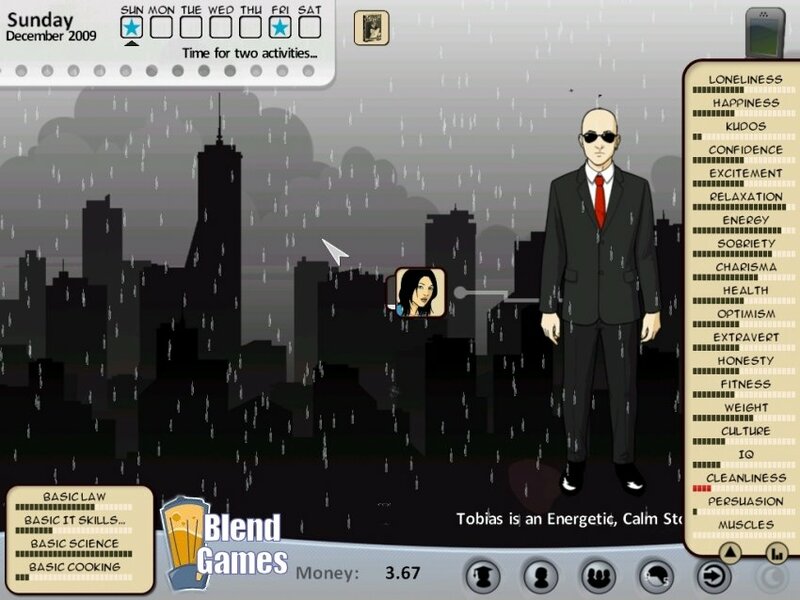 The player’s social life can also be affected by the avatar’s mood, the whether and of course, finances. The way the game is setup, after getting home from work players are afforded one activity, which can range from staying home and cleaning the house, to jogging, to reading a book, to hanging out with friends and watching a movie or taking your buds out for some Mexican food. There’s a lot of options that can be explored, given that different friends like different activities. 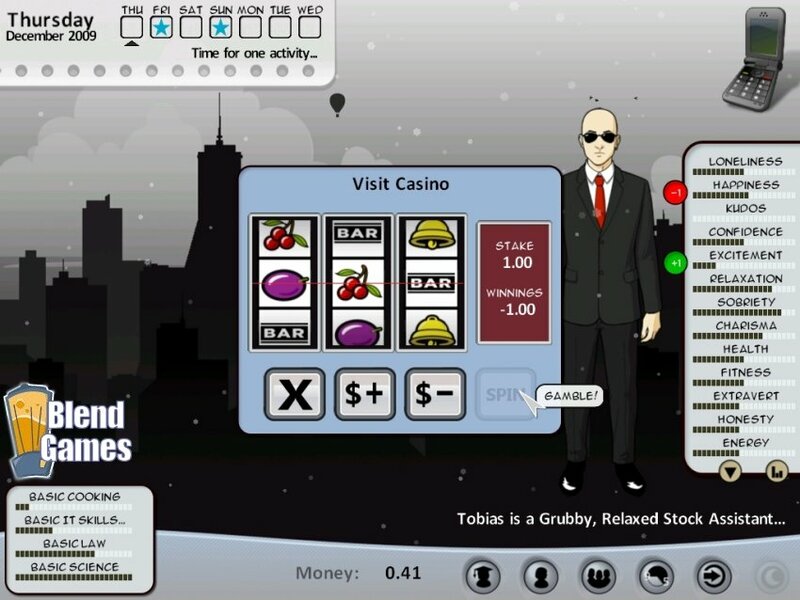 However, most of the activities cost money (like in real life) and if a player is short on cash, it can be tough to have a social life. Things can also become a challenge when aiming to venture into a new profession, which requires that players take night classes (which requires players to pay for each class). There’s a nicely tuned balance between productivity and having fun, which is often ignored in many other life-simulators (particularly, The Sims), where there’s usually an imbalance of doing too much of one or the other. One thing I should point out, though, is that Kudos 2 doesn’t bother players with many of life’s little trifles: making sure the avatar goes to the bathroom, or keeping the kitchen from burning down aren’t even priorities in this game. The main focus is on earning kudos by acquiring (and keeping) friends, becoming cultured in different forms of knowledge, or by moving up the ranks in any of the many different professions offered in the game. Hence, the name Kudos. As it was mentioned earlier in the review, the music and sound is very inspiring. Much of the sound, in particular, captures the resonating effects within the game, ranging from the whether, eating out, seeing a movie or taking the bus to work, to the simple effects of letting players know the avatar is sick. The music also accompanies the sound in great effect, ranging from jazzy new-age tracks, to inspirational melodies. The various tunes suited to the different ethnic restaurants was also a nice touch, except players don’t spend enough time in the restaurant to fully hear some of the songs. Regardless, the music is spot on. If I had a complaint about the music, I could only point the lack of soundtracks available in the game. Overall, Kudos 2 isn’t vastly superior to the original, so much as it is greatly improved over the original. The graphic aesthetic has been upgraded enough to keep most gamers visually stimulated, and the challenge of making relationships and keeping them, amid the challenge of working and making money, could easily eat hours out of a gamer’s day. 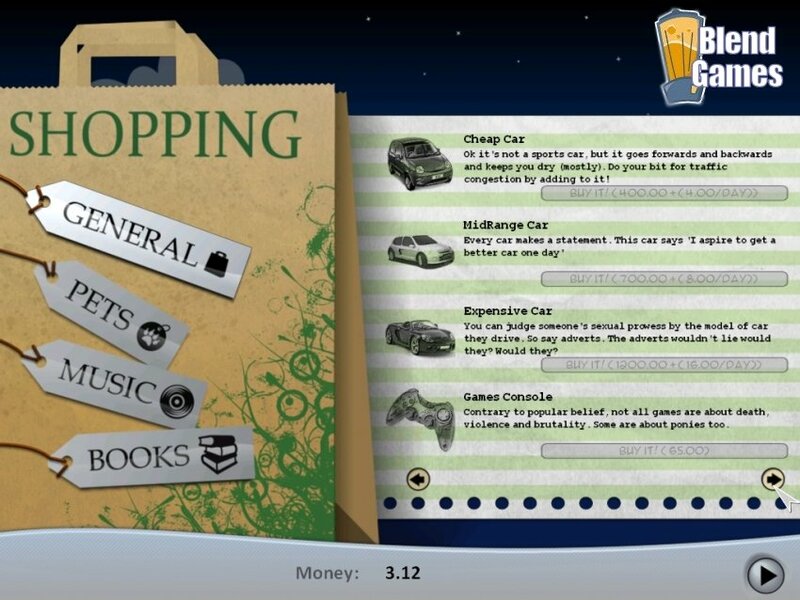 Small mini-games and lots of acquirable items and social activities really broaden the range of Kudos 2's fun-factor. And at a budget-price point and designed to run on low-end machines, I can’t recommend Kudos 2 enough for a gamer looking for a good pastime and a casual, fun experience.